Hello listeners! 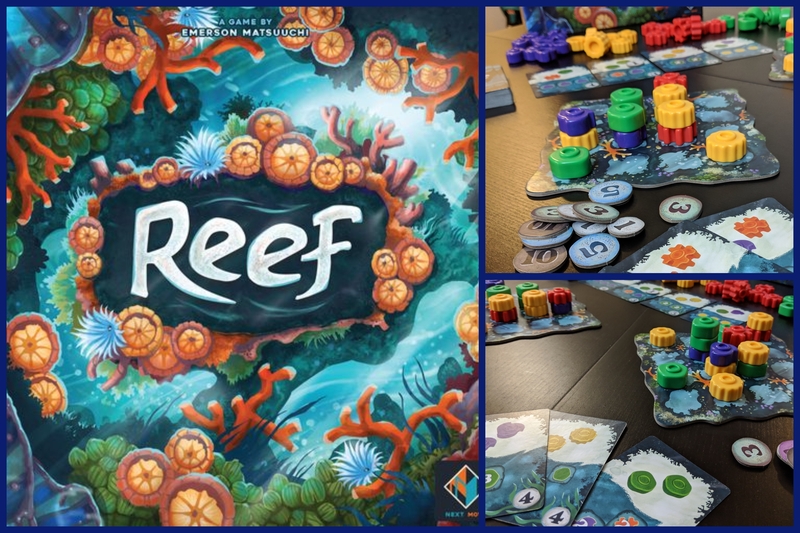 On today’s episode, Jakub and Greg review Reef, the new abstract pattern-building game from Emerson Matsuchi. Players use cards to collect coral and score points based on the patterns that appear in their reef. Since the cards that gain you coral are the same ones that score points, you have to make sure to play them as efficiently as possible in order to win. It’s a fun, colorful game that’s good for all ages. Check out our full review for more details! We also talk about What We’ve Been Playing lately. We’ve got several new ones to discuss this week, including the chaotic goodness of Potion Explosion and When I Dream. The recently popular Massive Darkness also rates a mention.